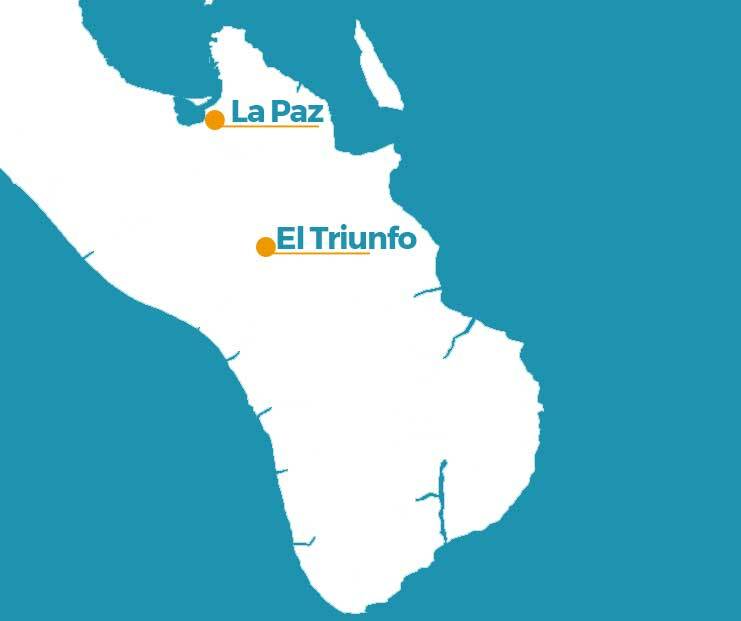 El Triunfo, is a small town 45 kilometers from La Paz, which grew out of mining and became the most populated city in Baja California Sur several decades ago. Visit El Triunfo, a trip to the past, where you can appreciate a chimney made by Gustav Eiffel for the mine of this place. Besides, it has the Santuario de los Cactus, where you can walk a small path surrounded by various varieties of cacti and you will know more about these plants. It is located approximately 45 km away from taking Hwy #1 on direction to San Jose del Cabo. If you are coming from Todos Santos, head up to La Paz and take Highway #1 on direction to San Jose del Cabo. *Eat at one of the local restaurants. Legend has it that in this town is one of the best pizzerias in the State. In 2017, The Color of Memory visited the town of El Triunfo to make an intervention where they interviewed different characters of this magical town to rescue the legends that give identity to its inhabitants. We recommend you visit their website to learn the legends of other corners of Baja California Sur.